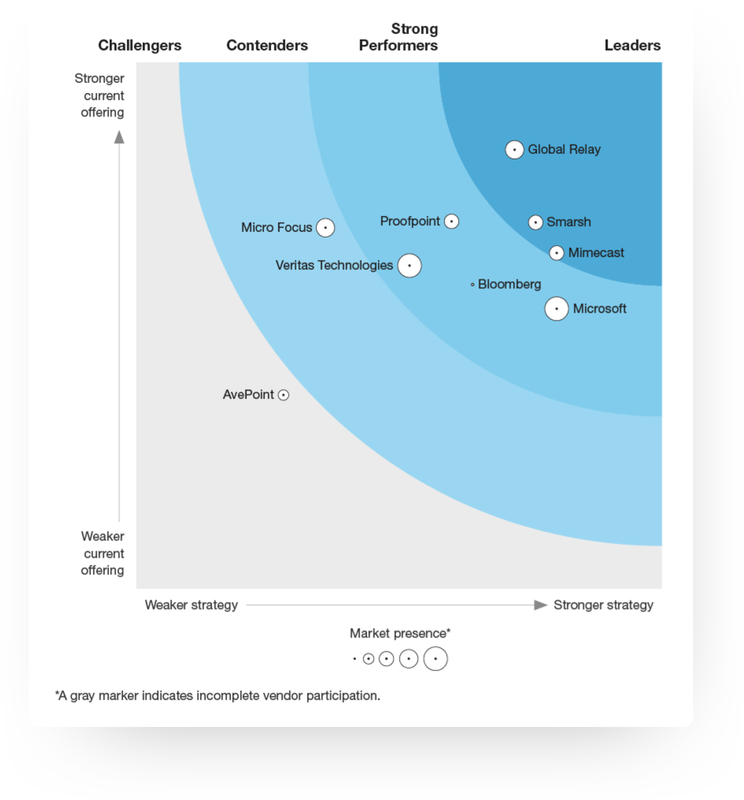 Using a transparent methodology, the Forrester Wave evaluates top vendors in the market to help enterprise architecture professionals make the right choice. Nine cloud archiving vendors were evaluated based on 30 criteria, which were grouped into three categories: Current Offering, Strategy, and Market Presence. *All emphasis added by Global Relay. Global Relay is the leading provider of cloud archiving, supervision, and eDiscovery solutions for the global financial sector and other highly regulated industries. Global Relay delivers services to over 23,000 customers in 90 countries, including 22 of the top 25 banks. Global Relay Archive supports email, IM, Bloomberg®, Refinitiv (Thomson Reuters), social media, mobile messaging, and more - with mobile, Outlook, and web access. Copyright © 1999 - 2019 Global Relay Communications Inc. All Rights Reserved.